Total E&P Limited, Total, have announced they will not accept the use of wooden poles for scaffolding during the construction process for the development of the oil and gas sector. This may be considered by some people as part of the oil industry’s demand for high standards, but the fact is that it should be regarded as the most sensible practice by the construction industry. The decision should also be applauded for being environmentally friendly by the fact that it will prevent the cutting on immature trees. For engineers, preservation of the trees is a serious ethical factor that calls for preservation of the environment by using friendly materials. The use of wooden poles in scaffolding has exacted unbelievable pressure on the existing young eucalyptus plantations across the country. Pushed by poverty, many farmers are tempted to cut the young trees before they reach their optimum size of harvesting. The practice is similar to the selling of an entire garden of immature coffee, maize or fruits that has spread to many parts of the country. Those who have been to a garden can attest to the fact that, farming isn’t a feast. But due to pressing needs and perhaps ignorance, as well as weak laws in the sector, some farmers are tempted to sell the immature crops at throw-away prices and succeed in getting trapped in poverty. 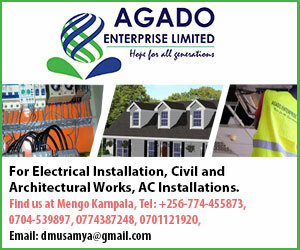 Because of the relatively long time (of about 10 years) it takes to harvest eucalyptus for electricity poles, farmers are tempted to cut the trees before they mature to meet pressing economic demands. While eucalyptus growing, especially in wetlands, is not a recommended practice, the use of eucalyptus-growing both in wetlands as well as on the highlands had made mockery of any efforts for re-afforestation. 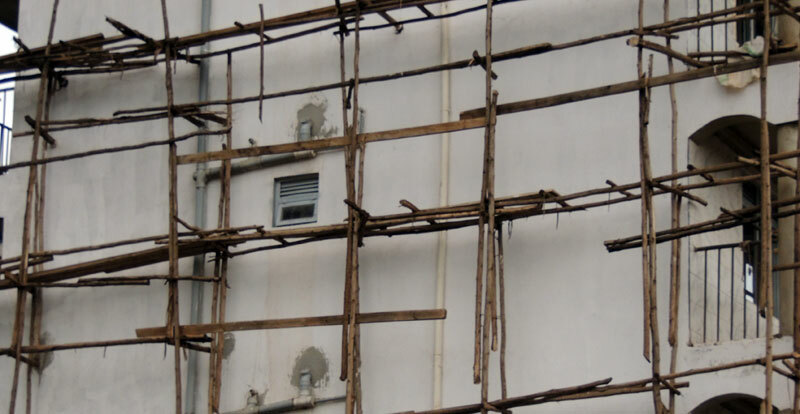 The ministry of Works needs to take Total’s move forward by introducing regulations that prohibit the use of wooden poles in scaffolding across the country. The ministry’s efforts could be boosted by actions by Kampala Capital City Authority, as a supervisor, to help in implementation of the regulations. By removing the demand for two or five-year old trees, the regulations will automatically mean that poles are left to mature for purposes of harvesting them for timber production, electricity distribution purposes as well as for use as firewood. As a way to support farmers benefit from their forests before they reach full maturity, the Government, or the private sector, can come up with market mechanisms to provide farmers with up-front payments. Eucalyptus growing remains an important economic activity in supporting the local construction section, for providing wood biomass for cooking in schools and other institutions. By supporting the sector, pressure is relieved on the few remaining and critically important, ecologically diverse natural forests, such as the Mabira Forest, which face extinction.